Even if your company owns your truck, you can deduct any expenses that you have because of it -- this includes your citizens band radio, stereo and speakers and -- if you have them -- your television and refrigerator. Your truck cleaning supplies are deductible as well as cab curtains and mattresses for your sleeper rig. If you purchase chrome items to place on your company truck, you can deduct the cost from your taxes. Tarps, straps and load locks are also deductible unless you receive reimbursement. Uniforms, special footwear -- such as steel-toed boots -- and laundry-cleaning expenses are deductible. Deduct commercial driver's license renewal fees and doctor's fees for your Department of Transportation medical physical. You can deduct the fees for showers and motels while on the road. Prescription glasses are deductible, as is the cost of any nonprescription sunglasses. 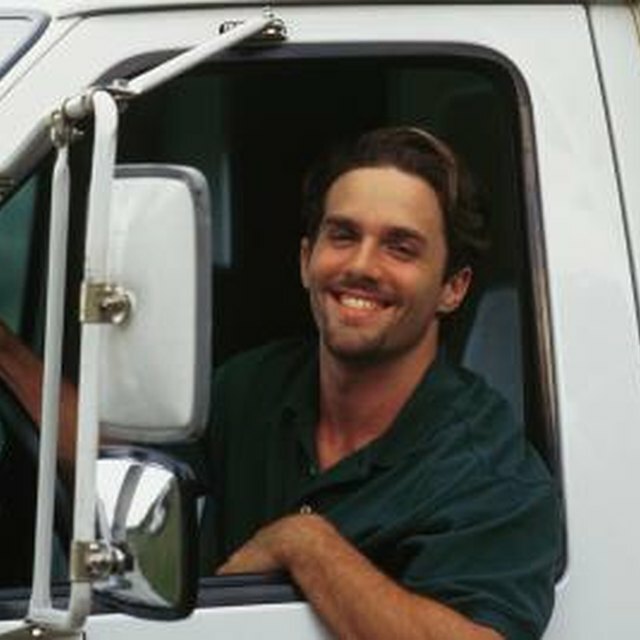 As of 2012, OTR drivers can claim a $59 per day per diem for any full days they are on the road. You must count the days you leave and the days you return as partial days and prorate your per diem. Retain your logbooks with your tax records for proof of your per diem deduction.